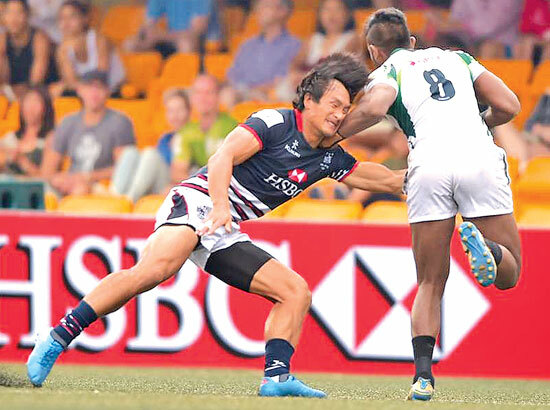 Sri Lanka captain Danushka Ranjan on his way to scoring a try in the Cup final against Hong Kong yesterday. PALLEKELE: Sri Lanka who was so dominant in the three-Test series against Australia suddenly find themselves at the receiving end in the five-match One-Day International series which draws to a close at the Pallekele International Stadium today with the fifth and final match. Cricket autobiographies flit between bland and interesting. Those written by current cricketers often err with the former, while their retired counterparts succeed with the latter. AB de Villiers’ memoirs fall satisfyingly in the middle, offsetting the mundane with the intriguing. The final countdown has begun for the local school cricket's most looked-forward to awards night! The mega final of the 2016 Observer-Mobitel Schoolboy Cricketer of the Year will be held in exactly 16 days' time, maintaining the high traditions of the country's first school cricket awards show.